DO NOT IGNORE blocked smelly drains! Flushing bleach down drains and using bicarbonate of soda may just mask an underlying issue. While it may be a minor issue, such as a dried or cracked seal within the drain system, it could also be a bigger problem such as a broken sewer or vent pack. Unless investigated with a drain survey the root cause may not be uncovered – until it’s too late. If the smell doesn’t go away, then it’s time to call in the experts and arrange a CCTV drain survey. CCTV drain surveys that are guaranteed. At Drainage Consultants we offer comprehensive services to ensure that those worst-case scenarios don’t happen. Your home is your sanctuary and it shouldn’t be making you sick. Give us a call today to discuss ‘prevention’ and our CCTV drain survey service. Our office staff and engineers all have years of experience and will be able to answer all your queries, helping put your mind at rest. Did you know Soap can cause blockages! Traditional soap bars are made with grease or fat and when combined with minerals in your water they leave a hard residue. This hard residue can stain bath fittings and clog pipes. TIP – change to a soap free body / face wash, and treat your pipes to a pressure wash clean to remove build up. Drainage Consultants are based in Manchester and ideally located to give 24-hour / 7 day a week nationwide rapid response support. 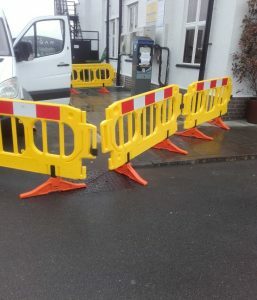 We are a leading specialist contractor, handling all aspects of drain repairs and CCTV drain surveys, along with all water supply works and public sewer connections. Our team are highly skilled, and we operate to guidelines set by industry regulators. Check out our industry accreditations. A blocked drain isn’t initially a major problem. Quite often a good DIY ‘plunge’ will resolve the issue at hand. Great stuff! No need to call out the experts and spend money! We hear you loud and clear. We’re not trying to scare-monger, but you should consider that it may be the start of a more serious under-lying issue. Especially if the problem is recurring. At Drainage Consultants we really are looking at prevention being better than the cure! We offer extensive drain surveys at cost-effective prices, using our CCTV drain survey technology. There we said it. Our fees are affordable and will give you peace of mind that everything is OK. If you contact our office our fully trained staff will be happy to discuss the drain survey procedure with you in as much detail as you need, advising on price and the availability for our engineers to attend your home. We provide a comprehensive drain survey. Our CCTV drain surveys are quick, accurate and non-invasive – no holes to dig and no disruption. One of our engineers will attend site and use fibreoptic lens technology to carry out the CCTV drain survey. He will be able to view and assess what’s happening in real time, giving you professional and reliable advice on what steps need to be taken – if any! The images are high definition and give exact information, allowing us to identify current and potential problems you may face. On completion you will be given a comprehensive and guaranteed CCTV Drain Survey Report. Pour approx. 50 gms of baking soda into the drain and then pour in approx. 240 mls of white vinegar. Let this sit for 2 hours with the bathroom door closed. Then pour around 6 pints of hot water down the drain. Leave for 15 – 20 minutes then run cold water for around 10 minutes to rinse thoroughly. Note: if the smell recurs then you should consider getting in touch to discuss having a CCTV drain survey carried out. It is always prudent to act on recurring issues in a proactive way. It can mean the difference between a small repair needing rectifying, to a more costly and disruptive repair further down the line! Give us a call today to discuss our CCTV drain survey service. Why chose Drainage Consultants for your CCTV Drain Survey? 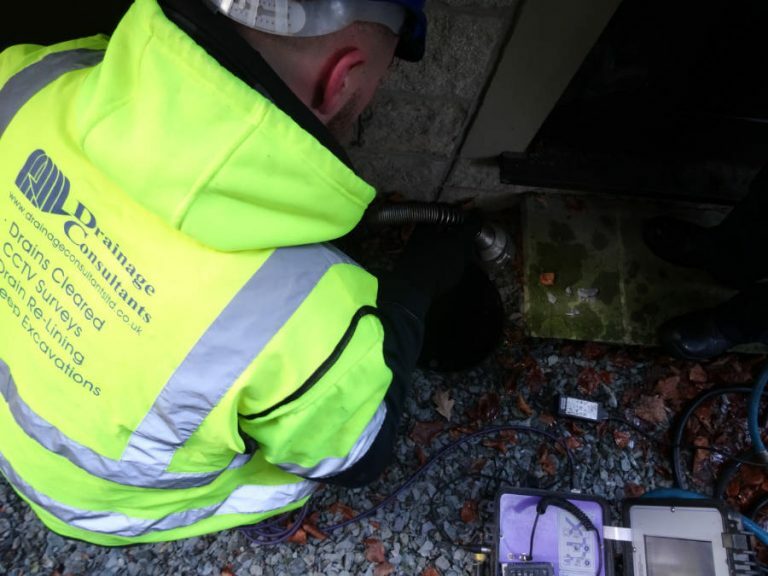 CCTV drain surveys carried out by Drainage Consultants are undertaken by fully NRSWA accredited drainage specialists, ensuring accurate diagnosis. Drainage Consultants are based in Manchester and ideally located to give 24-hour 7 day a week nationwide rapid response support. We offer a fast, discrete and professional service. Our team are highly skilled, and we operate to guidelines set by industry regulators. Check out our industry accreditations. Don’t wait until it’s too late! Here at Drainage Consultants, we take pride in our work but we also take pride in the positive reviews our clients have to say about us. We are a local, trusted 5 star Drainage contractor based in Stockport, covering the North West. Take a look at our reviews on Google! We really appreciate your feedback on Google. If you see water that isn’t draining away by your home or commercial property, DO NOT ignore it. Most people think that the water will evaporate, or eventually drain away, and whatever the blockage was will clear itself. This isn’t the case! Drains do not fix themselves. If water has risen to the surface this means that there is around 2ft of stagnant water sitting underneath the actual drain area. It’s important to get this investigated and resolved immediately. Recurring drainage issues would lead us to believe that there is an underlying issue that needs resolving. This is why we advise our clients to look at having a CCTV drain survey carried out. What will a CCTV drain survey uncover? At Drainage Consultants we use a fibreoptic video line, which we feed into the drains / sewer pipes. We can then assess the areas close up. We can check the condition of the pipes and as we can get ‘up close and personal’ using the CCTV drain survey camera, we can see quite clearly the problems and any underlying damage or cracks which may cause problems in the future. All our staff are fully trained and are fully NRSWA accredited drainage specialists. We guarantee an accurate diagnosis with a detailed report and video evidence, along with our recommendations. Drainage Consultants are based in Manchester and ideally located to give 24-hour nationwide rapid response support. 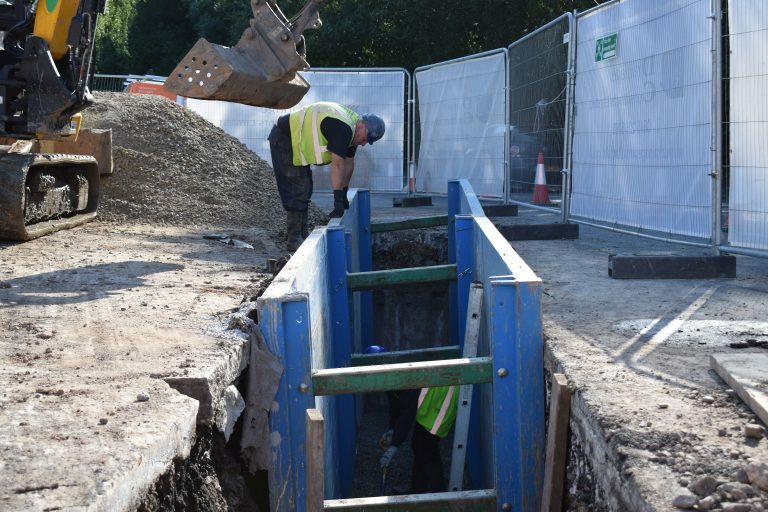 We are a leading specialist contractor, handling all aspects of drain repairs, CCTV drain surveys, water supply works and public sewer connections. Our team are highly skilled, and we operate to guidelines set by industry regulators. Check out our industry accreditations. In older homes the likelihood is that piping systems may well have degraded, sometimes to the point of leaking or corrosion. It’s at this stage that you will notice issues and will most likely suffer from burst pipes, floods and in some cases severe damage to your property and personal possessions. In virtually all cases home owners may not consider where their water supply comes from, or where it goes – until there’s a problem! We take all of this for granted. A drain survey would enable you to ensure that the pipes and connections to your home are in good condition, with no underlying issues looming. Why take the risk of something going wrong? Well no actually - it isn’t! Drain surveys are cost effective and we think you’ll be surprised at the fees. Again, no it isn’t! – it’s the most cost-effective and least disruptive way to obtain accurate information on the condition of your pipes. From start to finish the drain survey is quick and efficient, using our CCTV drain survey camera’s and highly trained staff. There are no holes to dig! We use a fibreoptic lens inserted into the drains allowing us to view the damage via video link. After completing the drain survey, we will provide you with a drain survey report, detailing exactly what the problems are -if any, and our recommendations. All our drain survey reports are carried out by our fully NRSWA accredited drainage specialists. Our expert fully trained staff are on hand 24/7 nationwide to help prevent and resolve all your drainage issues. Don’t wait until it’s too late. Drainage Consultants are based in Manchester and ideally located to give 24-hour nationwide rapid response support. We are a leading specialist contractor, handling all aspects of drain repairs and carrying out comprehensive CCTV drain survey reports. We have extensive knowledge and experience in all water supply works and public sewer connections. Our team are highly skilled, and we operate to guidelines set by industry regulators. Check out our industry accreditations. We’re pretty sure that you won’t give a thought to the drains and sewer connections linked to your home until there’s a problem. Why would you, until something goes wrong? We thought we should point out why you should be aware of what’s going on underneath your home and driveways, what responsibility you have and the benefits of doing so. Drains, pipes and sewers are hidden from view inside homes, under foundations and driveways. It’s a good idea to ensure you understand your responsibility for their maintenance – neglect them and it could be costly. The drains and pipes from your property (often underground) to your boundary wall. If you are unsure call us on: 0845 226 5060. CCTV Survey with Drainage Consultants. A CCTV drain survey is a great and cost-effective way for us to locate and assess your drains. We use a fibreoptic video line that we feed into the drains – giving us video footage that we can assess on site. It enables us to see the drains and sewer pipes up close, which allows us to assess any damage, underlying issues or decay which may cause future problems. Our CCTV drain surveys are recorded and backed up onto DVD. If you are dealing with an insurance claim having the CCTV drain survey on DVD can provide information to assist with a claim. If you are selling your home a CCTV drain survey report can add supporting evidence that everything underground relating to pipes / drains / sewers has been inspected and is in good order. If you are having recurring issues with blocked drains then a CCTV drain survey will allow us to carry out a full and detailed investigation, after which a long-term solution can be carried out. Drainage Consultants offer 24/7 rapid response to ensure that any issues are resolved quickly, with the least damage possible, and with no fuss. Our CCTV Drain Survey will give you immediate answers to allow a quick solution. CCTV drain survey technology is safe and will not pose any threat to your environment or your property. All our CCTV drain surveys are guaranteed and carried out by fully NRSWA accredited drainage specialists, ensuring accurate diagnosis. You will also receive relevant information for our IS-14001 family environmental certification. Drainage Consultants are the experts to call for all your drainage and public sewer connection requirements. We pride ourselves on our quality of service, and our staff are fully qualified to industry standards. What is a public sewer connection? In general, all towns, cities and surrounding areas will be connected on a sewer system. The public sewer connection is there to ensure that all waste or surface water can be channelled away from a property safely and effectively. These are generally maintained by the local water company. If homes or businesses are outside a serviced area, then a septic tank system will be in place to handle waste water. The connection from a domestic or commercial property must comply to the Water Industry Act by official application. This is where Drainage Consultants can assist. We can assess your individual circumstances and ensure that the correct public sewer connection is installed, subject to your location and the local sewer connection. Building restrictions do apply when the proposed building or extension is close to a public sewer connection. So, it is important to ensure that plans for new developments are thoroughly researched. Again, give us a call and speak to one of our qualified and experienced members of staff who will ensure that everything is as it should be. We can also help complete the application form! The demand for public sewer connections has grown in recent years due to the housing and commercial sector growth. 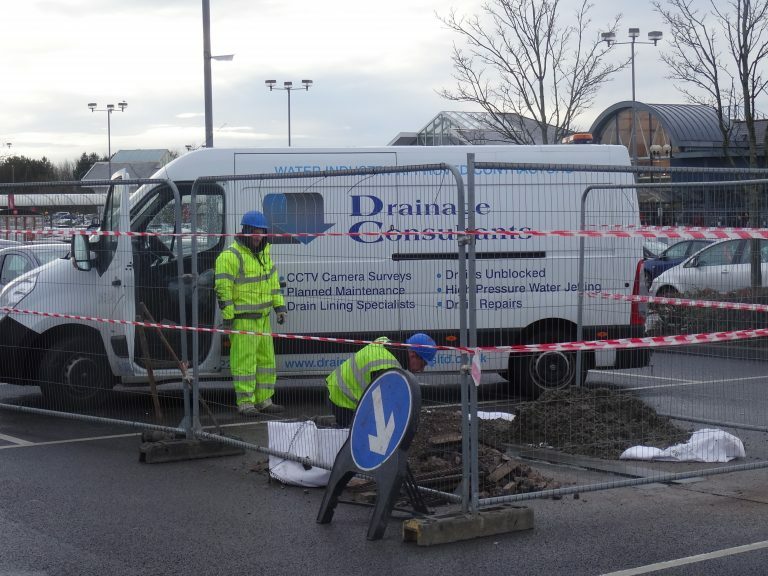 At Drainage Consultants we provide a cost-effective, timely and hassle free public sewer connections service throughout the UK. No job is too big or too small. We offer concise expert advice that you can rely on. We specialise is all aspect of drainage solutions and have experience in all types of public sewer connection methods, from oblique junction, to Y-piece to brick sewers. Our trained staff are on hand to discuss your requirements and ensure that you get the best possible advice. At Drainage Consultants we provide a satisfaction guaranteed service. We are ideally located to support and service nationwide and offer a 24/7 service. In your hour of need we’ll be on hand to support you. For all your public sewer connection requirements – from inspection, installation to repairs - then call us. Quality advice, service and repairs you can rely on. Get in touch with us today to discuss how we can support you. Do you have a recurring drainage problem? You’ve called out the ‘expert’ and had the blocked drain unblocked, only to find out a few weeks later the problem has reoccurred. Sound familiar? It’s a story we hear often and one that doesn’t have to happen. At Drainage Consultants we don’t just rush in, resolve the issue and leave. We offer a comprehensive CCTV Drain Survey. So, what does this mean to you, the property owner? A recurring blockage will more than likely have an underlying issue. With our latest CCTV drain survey technology we can investigate the problem and find out why the issue keeps arising. Once we have pinpointed this we can look to rectify it. CCTV drain survey technology is fast and cost effective. It’s a great way to inspect drains and sewers. Our fully trained engineers do not need to manually dig and open areas to investigate problems. 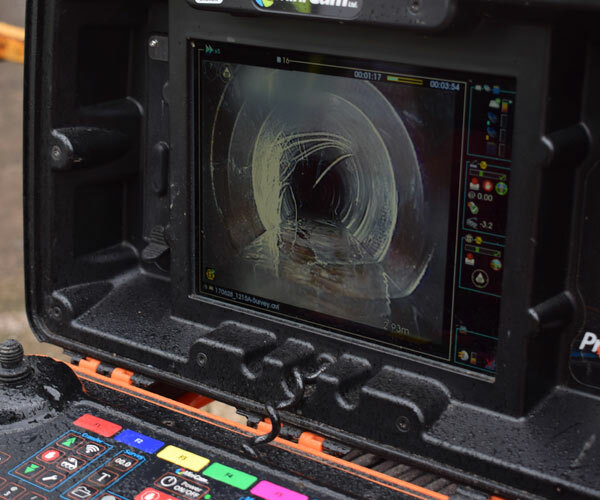 The CCTV drain survey camera system is fed into the drains and images are generated to our mobile devices allowing us to see immediately what is happening. The images are high definition and give exact information, allowing us to identify current and potential problems you may face. On completion you will be given a comprehensive and guaranteed CCTV Drain Survey Report. Drainage Consultants are based in Manchester and ideally located to give 24-hour nationwide rapid response support. We offer a fast, discrete and professional service. Our team are highly skilled, and we operate to guidelines set by industry regulators. Check out our industry accreditations. What is an Oil / Petrol Interceptor? A petrol interceptor is designed to trap and filter hydrocarbon pollutants, normally found in rainwater and other types of run-offs. If petrol interceptor cleaning and maintenance isn’t carried out on a regular basis it will lead to overspills and flooding, with pollutants entering the environment. This will cause significant damage to the environment, and these breaches can mean prosecution, hefty fines and huge clean-up costs. Oil and petrol interceptors are commonly found at car parks, petrol stations, lorry depots and airports etc. Their purpose is to stop contaminated water from running off the forecourts and into the environment. They can also be found at road sides and other types of construction sites. A primary maintenance task is to ensure that the channel drain remains clear of all debris. Oil and petrol will also accumulate on the surface of the channel drain and this must be removed to ensure that the interceptors are working to maximum potential. A comprehensive maintenance package is important to reduce the risk of flooding and contamination. Petrol Interceptor Cleaning! It’s a dirty job, but someone has to do it! CALL US TODAY FOR ADVICE YOU CAN RELY ON. SERVICE YOU CAN TRUST. This is where Drainage Consultants come in. Our petrol interceptor cleaning and maintenance contracts are designed to ensure that all our clients receive the very best advice and service. All our staff are fully trained to the highest standard, including SPA safety. Our fleet of vacuumation tankers are state of the art. In a standard petrol interceptor there are three tanks, and this is where debris and silt can accumulate. During the petrol interceptor cleaning process, it is important that care is taken to ensure that any contaminates do not get released into the environment. Drainage Consultants Ltd offer a comprehensive and guaranteed service for all your petrol interceptor cleaning and maintenance solutions - Nationwide. NOTE : The Environment Agency regulations and guidelines are enforced stringently, so if you’re in any doubt call us for expert advice. T. 0845 226 5060. Drains and public sewer connections become clogged and blocked over the course of time. Needless to say, when the blockage happens an urgent response and solution is necessary. That’s why the team at Drainage Consultants offer 24/7 rapid response to ensure that the issue is resolved quickly, with the least damage possible, and with no fuss. Drainage Consultants are based in Manchester and ideally located to give 24-hour nationwide rapid response support. We are a leading specialist contractor, handing all aspects of drain repairs, CCTV drain surveys, water supply works and public sewer connections. Our team are highly skilled, and we operate to guidelines set by industry regulators. Check out our industry accreditations. What is a CCTV Drain Survey Process? This is a fibreoptic video line that is fed into the drain or sewer pipes, allowing us to video close-up areas that would otherwise need to be dug up to get to. It allows us to check the condition of the pipework and assess any underlying issues. We can view the footage in real time, so we can assess on site what is happening and give immediate feedback, ensuring a prompt solution. This is where it pays to have a CCTV drain survey carried out. If the blockage is happening on a regular basis then it is likely that there is an unseen issue with the drain / public sewer connection that needs investigating. It could be anything from displaced joints, poorly laid pipes to cracks in the existing pipework. The CCTV drain survey will uncover the underlying issue, allowing our team to carry out a full assessment, provide a written report if needed, but most importantly rectifying the problem for you. 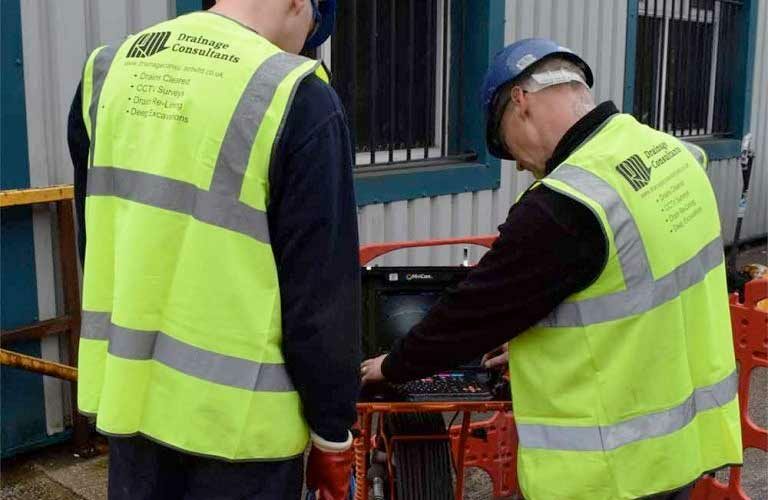 CCTV drain survey is an effective and cost-efficient way of identifying the root of all drain and public sewer connects problems. It allows our team to investigate, diagnose and assess repair options while on site. For all your CCTV drain survey requirements, issues with public sewer connections and repairs then call us immediately. Quality advice, service and repairs you can rely on. All our CCTV drain surveys are carried out by fully NRSWA accredited drainage specialists, ensuring accurate diagnosis. You will also receive relevant information for our IS-14001 family environmental certification. Drainage Consultants offer a full support service for all your septic tank cleaning, and public interceptor cleaning requirements. It’s important to ensure that you have regular maintenance, provided by a professional company who know what they’re doing. Septic tank cleaning and public interceptor cleaning isn’t something you can do yourself - that’s a given. Irrespective of whether the septic tank is attached to a commercial business, or a residential property they need professional septic tank cleaning support. The most important factor is ensuring you get the right septic tank cleaning company in to carry out the work for you. Important notice: Septic tank regulations change in 2020 and your septic tank must meet the relevant British Standards. If you have any concerns call the experts in septic tank emptying on 0845 226 5060. Experience – We have years of experience in all aspects of septic tank cleaning and public interceptor cleaning. We use a combination of high power jet vacuumation and tankering equipment. Our qualified and experienced staff ensure that the septic tank emptying is carried out to the highest standard. We adhere stringently to Government legislative requirements regarding every septic tank cleaning and public interceptor cleaning work undertaken. No short cuts and no fuss – just great service. Knowledge – It is important that the company you employ to carry out your septic tank cleaning is knowledgeable. At Drainage Consultants we have years of hands on experience, not just about how to empty the septic tank. It’s extremely important that the employees are fully trained and know what they are doing from start to finish. Inexperience can lead to damage being caused to your tank, contamination of the groundwater, and put others in danger. Insurance – Ensure that the company you employ to carry out your septic tank cleaning and public interceptor cleaning has full liability insurance cover. If they don’t and an accident occurred, you could become liable and face heavy fines for contamination. Support – Look for the company that offers emergency call outs for septic tank cleaning and public interceptor cleaning. Having peace of mind that if an issue arises out of hours, on a weekend or over a holiday period, you can pick up the phone and get the emergency response you need. At Drainage Consultants we provide a satisfaction guaranteed service. Drainage Consultants Ltd offer a professional and comprehensive solution for all your septic tank cleaning, and petrol interceptor cleaning. We use a combination of high pressure water jetting and deep suction tanker units, to ensure the job is completed to the highest standard. All septic tank cleaning and petrol interceptor cleaning, carried out by Drainage Consultants Ltd, is completed in line with government legislation. You can rest assured that you will receive a complete turn-key solution for all your needs. Don’t wait for your septic tank to back up! Call in the experts today and arrange for a site check, and organise a regular maintenance and monitoring plan with us. We recently attended Amazon’s newly built MAN1 distribution centre at Airport City South, to carry out septic tank cleaning. A holding tank on site had more than 190,000 litres of septic waste. The septic tank was situated beneath the on-site multi-storey car park, and the job needed to be completed in an ordered and timely manner. Our engineers on site carried out a full site inspection and assessment before commencing work. The solidified waste needed to be broken down before uplift. To facilitate this, we assigned a combination of both high-pressure water jetting, and deep suction tanker units. Once the solidified waste had been broken down we could carry out the septic tank cleaning thoroughly. Once uplifted it was removed from site and taken to the local waste water treatment works. At Drainage Consultants we use CCTV drain survey technology. This allows us to inspect septic tanks after cleaning to check for any fractures, corrosion or other potential issues that may arise. This can prove invaluable in ensuring that any future problems are located and dealt with, averting any possible future crisis. 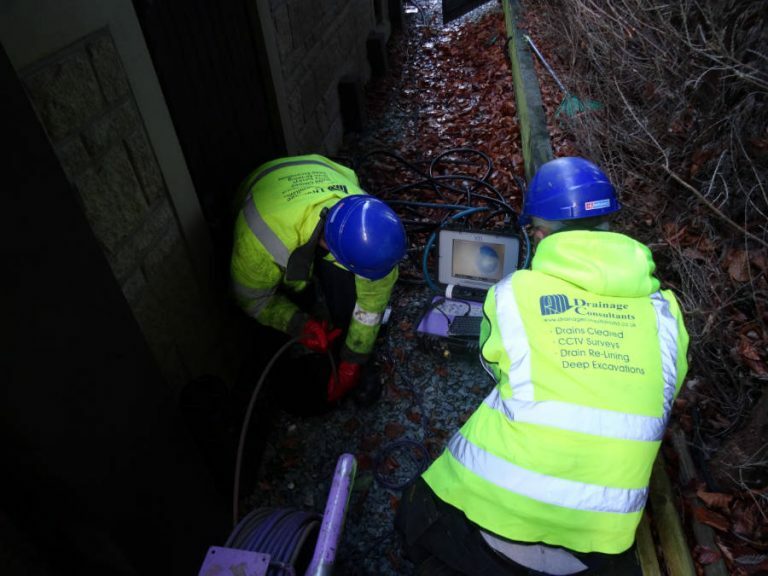 CCTV drain surveys are the most cost-effective way of keeping check on all your septic tanks, public sewer connections and drains. A full site CCTV drain survey report with high resolution photographic evidence will be provided. Why CCTV Drain Survey Technology? CCTV Drain Survey allows us to view, diagnose and assess repair options on arrival at site. All our CCTV drain surveys are carried out by fully NRSWA accredited drainage specialists, ensuring accurate diagnosis. The cameras are ideally suited for both below and above ground assessment. Quick, no nonsense drains survey reports that are guaranteed. Our assessors will take an overview of the issues you report, assess the overall condition of the public sewer connections, and other aspects that may cause future concern. The report we provide isn’t just a quick fix, we’ll provide a full assessment of our findings. Drainage Consultants Ltd are equipped to deal with the domestic, commercial and industrial market. Based in Manchester, we are ideally located to provide a 24-hour nationwide coverage. For all your CCTV drain survey requirements, issues with public sewer connections and repairs then call us immediately. Quality advice, service and repairs you can rely on. Drainage Consultants: CCTV Drain Survey, Public Sewer Connections. When you have an issue with drainage and / or public sewer connections you need someone quickly – very quickly! Rapid response and problem solving, with the least fuss and downtime as possible, is where Drainage Consultants Ltd come into their own. We are a leading specialist contractor, handing all aspects of drain repairs, CCTV drain surveys, water supply works and public sewer connections. Our team are highly skilled and we operate to guidelines set by industry regulators. Check out our industry accreditations. A call from Robinsons Brewery got the team all fired up and on the move. One of their pubs was suffering from flooding into the cellar. Getting out to site quickly, and using CCTV drain survey technology, we were able to pinpoint the issue immediately. The public sewer connections and piping were still the old cast iron pipes and had cracked. It was allowing waste to leak through the ground and into their cellar. Our engineers very quickly resolved the problem by replacing a defective section of cast iron pipe. Public Sewer Connections. Who’s responsible? 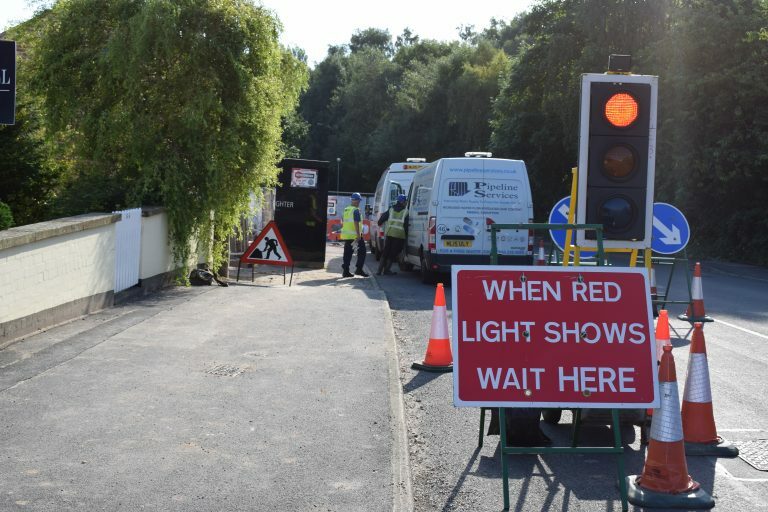 One of our specialist areas is assisting with ‘Public Sewer Connections’. There is a great deal of uncertainty surrounding who is responsible for this connection, and what it is. So, what is a public sewer connection? The public sewer connection is the connection between your home drainage system and a public sewer. This ensures the waste or surface water is channelled away from your property safely, and effectively. The drains and sewers that carry your household waste from your property to a public network are the responsibility of the homeowner, or landlord. It works in exactly the same way as other utility supplies. The boundary of your property is where the household connection hits the public sewer, and then it becomes the sewerage company’s responsibility. Your local water and sewerage companies have a duty to provide a public sewer. You do however need written approval before you can connect to a public sewer. Why chose Drainage Consultants Ltd? The team at Drainage Consultants Ltd have extensive knowledge and experience in public sewer connections. From application to completion, you can rely on us to ensure that things run smoothly, right through to obtaining your ‘Certificate of Satisfactory Inspection’ from the Water Authority. We can also advise you on the right connection for your property! Don’t get lost in the maze. We can guide you through this, and remove the stress. Why opt for a CCTV Drain Survey? A CCTV Drain Survey will allow us to investigate the problem you report, such as structural issues (fractures or collapse), and root ingress of blockages. It is a state of the art drainage technique, allowing us to diagnose issues without the need for invasive, and often costly manual investigation. Absolutely, CCTV drain surveys are invaluable. Using our CCTV drain inspection technology, not only can we investigate the problems you report, we are also able to look at potential issues that may arise. The advanced CCTV technology means that images obtained are high resolution, allowing us to identify issues accurately, such as hairline fractures / corrosion, with no room for doubt! Our remote CCTV cameras mean there is no disruption, or very little. There is no need for our engineers to enter drains, or dig holes for inspections to public sewer connections. It really is as simple as sending in our remote cameras, that relay the images back to our mobile unit. Will I get a full report? Yes, we’ll provide a full written report for you outlining all our findings, together with photographic and video evidence. Poor drainage poses a threat to property. For this reason, a CCTV drain survey could be essential to protecting your premises or home. If drains fail to do what they are designed to, then the results can range from the inconvenient to the catastrophic – and sometimes the symptoms of blocked, faulty or damaged drains can present themselves as an inconvenience, when, in reality, they are a crisis waiting to happen. Storm drains should carry surface water away when it rains, and the UK is frequently a very wet place – some of the wettest winters on record have been in the past few years. If these drains fail to work, then the surface water will have nowhere to go. It will end up seeping into walls, which ultimately causes decay. Damage like this may take a while to take effect, but nevertheless it will do so, unless you do something about it. Foul drains carry wastewater through the drainage system into the sewer. If foul drains are blocked then the effect can be unpleasant in the extreme, with raw sewage rising to the surface. This smells awful, and poses a significant health risk. Most of the time we do not think about drains. They are just there to do their job. So, it’s only when they start to fail that we sit up and take notice. It may be worthwhile having your drains inspected with a CCTV drain survey to ensure that you have no lingering and potentially serious drainage issues. A drainage inspection will expose any weaknesses or difficulties in your drainage network, often before any noticeable problems have occurred. Acting now could save you on trouble and expense later. A clear drainage diagnosis will allow us to then recommend a course of remedial action, where necessary. A drain survey is cost effective, efficient and non-disruptive. Give yourself peace of mind and contact Drainage Consultants today. Why Must You Arrange Your Own Public Sewer Connection? Connecting to the public sewer might sound like a task for a large-scale utilities provider and not something to concern the individual property owner. However, public sewer connections are, in fact, the responsibility of the property’s owner, should the property require this to happen. This is how it works. The sewerage company is responsible for the sewers, including having rights of access, including situations where sewer pipes run across private gardens or land. This means if the sewerage company needs to carry out maintenance, inspection or repair work, it will do so, on your property if needs be. But, the drains and sewers that carry household waste from a property connecting to the public network are the responsibility of the homeowner or landlord. As with other utilities, the boundary is the point where the household waste connects to the public sewer. Recently built or newly developed properties may need connecting to the public sewer network and it is the private individual’s responsibility to arrange this. How do Public Sewer Connections Happen? Your connection must comply with Section 106 of the Water Industry Act. To do this you must make an official application. The most straightforward way of doing this is to look for a qualified contractor to carry out this work on your behalf. This is where we come in. We’re vastly experienced in public sewer connections, and we can advise you on the right connection for your property – individual circumstances can differ, depending on your location and the layout of the local sewer network. We can ensure your application is correct, before we go on to complete the work for you. Once we have done this, you will need a Certificate of Satisfactory Inspection from the Water Authority. Once they have inspected and assessed our work, they will issue this to you. We act on your behalf, working to the highest professional standards. If your property requires a public sewer connection, contact us today. Drains can surprise you, and not in a good way. Drains, by their nature, are largely concealed, which is why they can be a nasty surprise, when something goes wrong. This is when you need a CCTV drain survey. Most of us like to plan for the future. We have events in our social calendars, we have milestones and goals at work. We don’t, however, always look ahead to what might need attention when it comes to essential utilities. What if your drains are not working properly? What might the cost be to you, in time, and inconvenience? If you’ve got a business premises, with faulty drains, the implications might be long-term, if you do not act to fix them. Think of your staff, or customers, and possible health and safety issues with blocked drains. Would you have to close your business temporarily to sort them out? What would this downtime cost you? Should you Give Your Drains a Health Check? You may already have your suspicions about your drains – maybe there’s a bad smell, or they persistently clog or drain away slowly. Give your drains a proper health check with a CCTV drain survey. They are quick and efficient, and they might just save you money, time and trouble. We use cameras to record what the interior condition of your drainage network looks like. From this footage, we produce a comprehensive report, together with a DVD of the footage. We can then devise an action plan specific to your drainage requirements, giving you a full diagnosis regarding any deterioration, faults or weaknesses that we’ve discovered. A health check for your drains is a sound idea – many banks and mortgage companies now make a CCTV drain survey a requirement for property purchases. Act now to save yourself more trouble, and expense, later. Contact Drainage Consultants today if you think you’ve got drainage problems. Our CCTV drain survey will help us get to the bottom of it for you. Will You Fight the Fatberg with a Drain Survey? When blockages occur in the sewer network they can be spectacular. Recently, in London, a routine inspection discovered a fatberg the size of two double decker buses blocking a section of the ancient sewer network. It stretches the length of two football pitches, and is requiring concentrated, seven days a week work efforts to remove it, using shovels and high powered water jets. What are Fatbergs Made Of? Typically, these masses of waste comprise things such as congealed fat, nappies and wet wipes – what people routinely put down the drain or flush down the toilet. These are items that won’t break down in the drainage system, but instead add to congealed masses that keep growing, until you have a worst-case scenario. The larger the fatberg becomes, the harder it is to get rid of, some compare it to trying to break down a huge lump of concrete. This type of waste can build up quickly, particularly where cooking oil and fat is concerned. And plenty of supposedly disposable items, such as wet wipes, will still block drains. This large-scale problem is reflected on a smaller scale in numerous properties where drains steadily become clogged with unsuitable items for flushing or draining way. One solution is quite simple: don’t pour cooking oil and fat down the kitchen sink. This can be exacerbated at busy times for cooking, such as Christmas, and affects both homes and commercial premises such as restaurants. People should also be careful what they choose to flush down the toilet: things like cotton wool buds may look small and harmless, but they can easily build up and contribute to a significant blockage. The damage may already have been done, and even if your drains are not completely blocked, they may be dysfunctional, draining slowly persistently, and giving off bad smells. If this is the case, then your next course of action should be to get a drain survey. This is a cost-effective means of thoroughly inspecting your drains to get a clear picture of what is wrong with them. We use state-of-the-art CCTV technology for this, and it allows us to diagnose your drainage issues. Combat the threat of blocked drains with a drain survey. Contact Drainage Consultants today if you think you’ve got drainage problems. What is the Purpose of Drain Tracing? What is drain tracing and when do we use it? 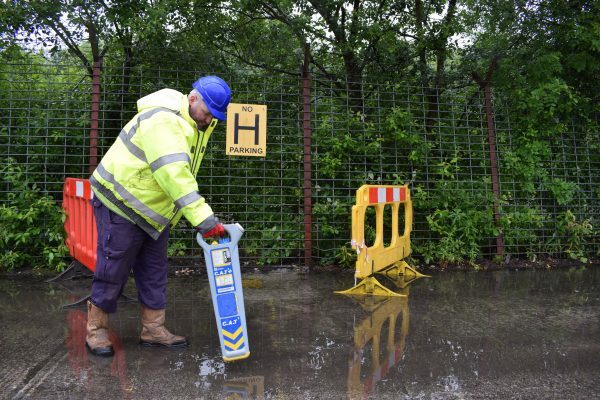 It’s a diagnostic tool to help us investigate drainage problems, and it’s especially useful when there are issues to do with gaining access to drainage networks. Like drain surveys, drain tracing is a means of finding out more about your drains, and identifying problem areas and drainage difficulties. Not all drainage issues are easy to detect, and, even where we’ve discovered them through our CCTV investigations, we need to be able to accurately pinpoint their exact location. Furthermore, in locations where drainage repairs might cause disruption to other utilities, or pipes, then sonar drain tracing is essential for mapping out the network. We transmit electrical pulses beneath the ground through a specialist device that allows us, effectively, to ‘see’ with sound, using echo. Coming through an above ground receiver, the pulses ping back to us, enabling us to build a clear picture of the inside of the network, from manholes and inspection chambers to areas of collapsed drains or other damage. It will tell us how deep the drains run, and where they run to. Drainage problems, while displaying clear, sometimes dramatic, symptoms, can be hard to pinpoint, and undertaking exploratory work like digging adds to the time and expense involved. Drain tracing means we can eliminate any guesswork, and plan based on clear readings of what the drainage network is like. It makes the whole process that much more efficient, and reduces the chances of us encountering anything unforeseen once we commence our remedial work. It saves us time, and resources, and it saves you money. We can quote far more accurately for the work we will need to do, and we won’t need to cost in exploratory excavations. In all, drain tracing means less disruption and, generally, greater savings, which we can pass on to you, the customer. We act on your behalf, working to the highest professional standards. If you’re at all worried about your drains, contact us today. Not all drainage problems are manmade, as nature plays its part in causing damage to drains. Trees are a major cause of blocked drains and sewage networks. This is because tree roots can cause long-term damage to drains and, if left unattended, this can then lead to building subsidence. Why are Trees Attracted to Drains? Moisture forms on drainpipes from condensation. It can also come from leaking joints in the pipework. This moisture attracts tree roots. Sometimes there are excavations close by, and these make it easier for the roots to burrow into the ground to reach pipes. Typically, the roots will follow the course of the excavation trenches originally in place to lay the pipework. Once the tree roots reach the pipes they can end up making further inroads through joints in the pipework, or entering where there are fractures and cracks. What Damage Can There Be? Most drainage networks use clay pipes with joints made up of sand and cement. Trees can enter this type of pipework. If they do, they can then, over time, reduce the bore, or diameter, of the pipe, making it less effective at its job of carrying drain water away. Tree root incursion may also fracture the pipework, which will then cause it to leak. Leaking pipework, if not within the property but under the ground, can eventually undermine a building’s foundations. If a property is located near trees, or has trees within its boundary, then a drain survey is essential for finding out if the tree roots are burrowing near, or into, the property’s pipework. Ultimately, the aim is to be preventative, but even if damage has already occurred, getting to it sooner rather than later can save a lot of trouble and expense. A drain survey is there to give answers, uncover problems and reassure homeowners and landlords when it comes to protecting property in the long-term. Don’t gamble with your property’s future. A drain survey is cost-effective, quick and efficient. Contact Drainage Consultants to arrange yours. We like to grumble about the weather in the UK, especially the amount of rainfall we get. However, the onset of excessive rain should also serve as a warning about our drains and whether drainage networks can cope. Wetter weather now seems to be a fact of life, but when it gets serious, if drains aren’t up to the job, flooding can follow. It’s therefore crucial to maintain drains, and this is where a drain survey plays such a vital role. Acts of God is a legal term, describing events that happen without manmade involvement, such as floods and other extreme weather events. While it is true that certain aspects of flooding, rainfall for example, are outside the remit of anyone’s control, there are things we can do to mitigate its worst effects. Drains are essential for helping deal with groundwater and ensuring it runs off into reservoirs. If drains are inadequate to this task, it can lead to flooding. At the same time, if wastewater drains are not properly functional, in times of excessive wet weather, they can overflow due to the inability of the system to cope. Backed up wastewater is unpleasant, and a potential health hazard. If you have any notion that your drains are not functioning properly, now is the time to act – before any crisis with them occurs. You might be experiencing bad smells from your drains, or notice that water takes longer to drain from a sink. You can also find that persistent wet weather can damage older drain networks over time, leading to collapsed drains. A drain survey, using CCTV technology, is an ideal way to discover if there are issues with your drainage network. This is a cost-effective means of inspecting your drains without resorting to digging up land for exploratory purposes. It allows us to see what’s going on, and to record it. We can then compile a comprehensive report on your drainage network, with an accompanying DVD of our CCTV footage. It’s best to ensure your drains are prepared for wet weather. Contact Drainage Consultants today for your drain survey. Is Big Brother watching you, and does it matter? The issue about the surveillance society keeps cropping up, along with the question of whether it matters when we’re being captured on CCTV so much of the time. But for drains and drainage issues, surveillance is undoubtedly a good thing. The CCTV drain survey is an essential diagnostic tool in discovering otherwise hidden issues affecting drain networks. Context is the thing that makes all the difference with surveillance and spying. CCTV cameras are used routinely in medical procedures and for diagnostic purposes and no one complains about it. The same is true for drainage. By using CCTV technology, we can discover more about drains, and save both time and money in the process. Without CCTV technology, we might need to conduct exploratory excavation work, and the whole process of finding the root causes of drainage issues can be lengthier, and involve more resources, and expense. There can be tricky location factors, where buildings and other utilities cause complications in diagnosing drainage issue. And where there are construction and refurbishment projects, existing drainage plans can often be out of date. A CCTV drain survey provides much-needed answers about drainage networks. Using specially developed technology, we can send a camera down the drainage network and remotely record its progress. This will provide valuable information regarding the state of the drains, including where there are any damaged areas. It also means we can get an up-to-date picture regarding inspection chambers and manhole entry points. CCTV allows us to put together up to date plans of drainage networks, and, where necessary, provide full DVD footage to accompany our findings. Where work is required, this data provides a full, diagnostic background to any proposed plan of action. Our customers get full visibility, both of the drainage network, and of our plans and what we base our quotations on. Facilities that work are essential to pretty much all buildings, and drainage is one such facility. We don’t think about how they work, until they stop working. Then we notice. It might be the smell, or the fact that they’re not draining, or are fully backed up. Whatever the reason, once a drain stops working it becomes a priority. What you require is a drainage inspection. Sometimes this means diagnosis, through a CCTV drain survey, or at other times, more direct action straight away. This is what happened recently, as a result of a pump station failure at a business park. We were called to a pub where they were unable to use any of their facilities. Not only this, but they had an imminent meeting scheduled on site and so required a same-day resolution. In situations like this one, whereas we might normally commission a CCTV drain survey to get a clear idea of the cause of the problem, here time was going to be an issue. What we needed to do was act swiftly and decisively. On arriving on site, we discovered that the pump station was no longer working. This was due to the pumps overheating, and therefore tripping out. Down the line, this meant that in the pub, the drainage levels were not dropping. This was a case of setting the pumps in reverse to remove any blockages. Once this had happened, we could reset the pumps to begin working again as normal. The levels dropped, and the pub had its toilets working again. All in time for the important meeting with a utilities provider on site the next day. The entire job took us one and a half hours, to remove the back-up from the system and drop the pump station’s levels. A final check revealed the manholes were all clear, and the pub had its full flow restored. Sometimes drainage issues call for a quick solution. Contact Drainage Consultants for your drainage inspection. What Happens When We Inspect Your Drains? There are a number of reasons why you might need a drain inspection. When something is wrong with your drains, this can show up in a number of different ways. You might find, simply, that water is not draining away, or is doing so very slowly; or there might be a strong, unpleasant odour coming from your drains. Alternatively, if you’re planning building work where you need confirmed information about the location of sewers and pipes before commencing work, then a drainage inspection will provide you with up to date detail. For some mortgages, your lender may require a drainage investigation before approving your loan. We use a number of different processes for a drain inspection. Each has its own way of revealing aspects of the drainage network; and the different methods complement one another; and each may be required depending on the individual circumstances. Sonar drain tracing involves us using specialist equipment that effectively ‘reads’ the drainage network by way of electric pulses. This is especially useful where there are tricky, hard to reach areas and where we think there may be areas of damage or deterioration. What we get from drain tracing is a proper idea of the route and depth of a drain. Dye testing is where we release coloured dye into your drainpipe. This will quickly reveal where there are any problems, especially where water is leaking from a drainage network into a cellar. A CCTV drain survey gives us the means to visually inspect and record conditions inside a drainage network. We send cameras down the drains and what they record forms the basis of a comprehensive drain report which will highlight trouble spots, weaknesses and areas of damage or deterioration. From our survey data we can produce accurate drain mapping – essential for planning building or renovation work. It is often the case that existing drainage network plans are out of date, or incomplete, and the data we gather from a thorough drain inspection can fill in the gaps. All our solutions are state-of-the-art, designed to maximise efficiency while minimising cost. If you have any doubts or questions about your drains, give us a call. New buildings require an official connection to the public sewer. This comes under section 106 of the 1991 Water Industry Act. The owner of a domestic property has the right to connect to the public sewerage system, but must first apply formally. The reason for this is that the whole process of dealing with sewerage is complex, and unauthorised public sewer connections have the potential to do damage to the drainage network. Property developers should therefore take account of this as part of any project they are undertaking. Anyone intending to build close to or over an existing public sewer must first notify the utilities provider responsible for the local sewerage network. They must provide written agreement before work can commence. This is because building over and existing sewer or drain can damage pipework. This damage may then cause leakages or blocked pipes, leading to disruption to the system, the nuisance of foul odours, and possible environmental damage. If a developer builds over an existing sewer this can also cause problems when it comes to clearing any blockages or repair work of faulty or damaged drains, adding to the time and expense involved. Submitting plans, means that, if necessary, there can be modifications made to the drainage network and movement of drains to accommodate the development. Once this is clear, there is then the issue of a public sewer connection. Generally, the sewer or drain needs to be at least 0.8 metres below the ground level of the building. First the developer or property owner must submit an application for a public sewer connection to the local utilities provider. This normally involves submitting a fee alongside the application, and charges may vary, depending on the nature of the connection. 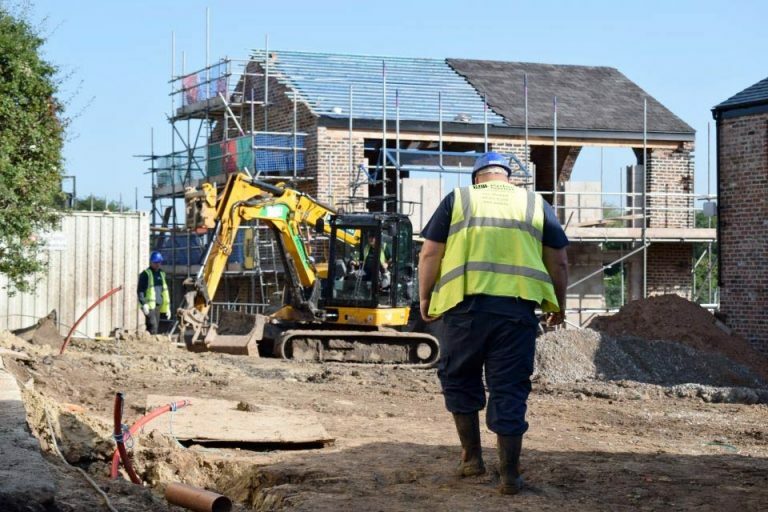 If the building is covered by a planning application, the local authority must first approve this before the connection can take place. Once approval is received, the developer must arrange for a contractor to do the work. The utilities provider will monitor the connection as it is undertaken. These are: if a private drain or sewer is of a substandard condition; and if a connection would be likely to damage or hinder the existing public sewer. Therefore, to avoid needless expense and a drawn-out process, it’s vital that developers have full knowledge of the public sewer network, and use a professional contractor to undertake the connection work. Once the work is complete, the authority will inspect and approve it, and issue the relevant certification. If you need a public sewer connection talk to Drainage Consultants. We’re hugely experienced in all aspects of drainage. House price inflation continues its seemingly unstoppable rise, according to figures for the year to April 2017. This despite reports from mortgage lenders that the market was slowing down. The Office for National Statistics (ONS) has reported that the average house price in the UK increased by 5.6% in the year to April – a six month high. Property is a serious investment, whether that’s the reason you’re buying it or not. But if you’re considering buying, or if you need to sell, how do you ensure that you’re maintaining that value? A CCTV drain survey is one way of protecting your property investment and these are becoming increasingly commonplace for home buyers. Whereas a structural survey will tell you about the condition of your property, whether buying or selling, it won’t look at the infrastructure serving the property, in particular the drains. Why are drains important? Having a drain in a poor condition can indicate problems later on, such as leaks and blockages. Moreover, there can be hidden dangers with damaged drains. A collapsed drain, for example, may not be obvious, but it could be leaking water into the surrounding ground which will then undermine the foundations of the property. To help prevent issues like subsidence, therefore, a CCTV drain survey can play an essential role. A CCTV drain survey involves us sending a camera down your drains to view and record the internal state of the drainage network. This gives us the information to help us compile a comprehensive report on the condition of your drains, including the CCTV footage we’ve taken on a DVD. A drain survey will reveal the structural condition of your drains and allow us to conduct a full analysis. If there are misconnections, the survey will reveal them. We can also detect rat infestation from the survey information. Normal surveyors typically do not have the necessary specialist equipment to carry out a thorough drain survey, but many mortgage lenders and insurers now require a drainage survey. Ideally, you should arrange your CCTV drain survey well in advance of exchange of contract. If you want to protect your property, contact Drainage Consultants today to arrange a CCTV drain survey. Drainage problems are going to be difficult to spot with the naked eye because, naturally, they usually occur below ground. You might easily notice the symptom, such as water not draining, or foul smells, but you won’t be able to work out the cause. This is why state-of-the-art drain detection equipment and technology is so essential. One of the methods we use to detect drainage problems is drain tracing. Drains are not always easy to locate. Often there are no up to date plans of a drainage network, so we have to do our own knowledge-gathering. Finding the drains is one thing, diagnosing the problem is another. Fortunately, we have the right tools for the job. We can use CCTV cameras for a drain survey, but that is far from the limit of the technology at our disposal. We can also locate drains and drainage problems using sonar drain tracing techniques. Whereas a CCTV drain survey will indicate what a problem is, drain tracing enables us to pinpoint exactly where it is in the drainage system. We use our specialist equipment to transmit electronic pulses which bounce off the drain, allowing us to read its location. This is essentially making use of an echo as a location tool. The transmitter goes into the drain, while we use a receiver above ground to read the pulses. We can use sonar to pinpoint where the defects shown on the CCTV footage are, and we can use it to locate concealed manholes and inspection chambers, as well as to ascertain the exact depth of a drain. With sonar drain tracing we can eliminate guesswork, making it easier for us to accurately quote for the work you need us to do. The information we gather means we can work more efficiently and eliminate the need for exploratory excavation we have to do. It is therefore crucial in the planning stage, and it helps us avoid any unpleasant surprises which might otherwise delay or disrupt a project – and make it cost more. So, for a less disruptive, more efficient and cost effective means of detecting drainage problems, drain tracing is ideal. If you have an issue with your drains, we can sort it out for you. Contact Drainage Consultants today. Can CCTV Save the UK’s Drainage System? Research from Edinburgh’s Heriot-Watt Academy suggests that the increased run-off water from paved gardens could eventually overwhelm the UK’s drainage system. This makes maintaining and inspecting drains a critical issue. One way of helping ensure drains are working properly is with a CCTV drain survey. What Does the Future Hold for Drainage? More and more people are paving over their front gardens, principally to provide additional car-parking space. This increase in paved gardens has serious implications for drainage. The long-term impact of climate change is likely to be more extreme weather, including storms, with plenty of concentrated rainfall. In such circumstances, with reduced ground absorbency due to paved gardens, the rain run-off will flow into the drainage system, which will be unable to cope with the excess. The increased volume of run-off, by 2080, could see Edinburgh experience the equivalent of 12 Olympic swimming pools in excess water, according to the research. Associate professor at Heriot-Watt, Dr David Kelly has pointed out that domestic front gardens make up some 30% of urban space, and therefore play a vital role in surface drainage. As traditional front lawns disappear, so the risk of flooding increases. What measures will alter this crisis scenario? There are various forms of absorbent surface technology involving porous stone and other materials, but it is also vital that drains are kept in good working order. A CCTV drain survey is now a well-established means of checking drainage networks and people’s domestic drains. It allows for an inspection of a drain without extensive preparatory excavations taking place, making it both efficient and cost-effective. For your future peace of mind, you must ensure that your drains are working as well as they should be. Drains can deteriorate over time. You can even have a collapsed drain on your property and not know about it – if your drain is underground it might be leaking into the ground and can eventually undermine your house’s foundations. Drainage may be set to become a big issue for the future, but you can act now to protect your property with a CCTV drain survey. You might not realise you have a problem with your drains until the problem has got so serious that it’s going to take a lot of time, resources and money to put right. Drainage problems can be a hidden cost, partly because the problems can build up beneath ground, and partly because these problems are often cumulative. A drain survey can help identify drainage problems early; and it can provide an accurate means of drainage detection to provide an effective diagnosis to allow to work to commence as soon as possible. There are various things that can go wrong with a property’s drains. Some will be down to damage, some deterioration over time. 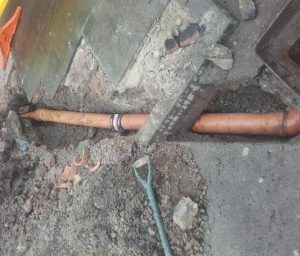 There may also be historic issues with the drainage network if building work, extensions or renovations have disturbed it. Collapsed or broken drains may not be immediately obvious, but a drain leaking into the ground can lead to building subsidence, as the water gradually erodes the ground around foundations. Tree roots can cause drain damage, as they are drawn towards the moisture coming off the drain. Eventually the roots can penetrate the drain, or cause movement that causes it to misalign. Unfortunately, drains can also attract rodents, and lead to infestation in a property. Misuse of drains by putting the wrong things down them leads to blockages, sometimes over a prolonged period of time. Fat and grease build-up in drains is a common cause of blocked drains. There is a way to see inside drains, and this is by sending a CCTV camera down into them. CCTV drain surveys make the detection and diagnosis of drainage problems that much more straightforward. The camera picks up faults in the system as well as helping us to put together an accurate, up to date picture of the drainage network. We can supplement this process with sonar drain tracing and dye testing, which means we avoid having to undertake costly excavations just to locate problem areas. Think of a drain survey as an investment in your drains and, ultimately, your property. And it can save you money: by spotting problems earlier on, which otherwise might be more disruptive; and by making the whole process of remedial work faster, more efficient and less disruptive. These efficiency savings we can pass on to you, the customer. If you only suspect you have a drainage issue, don’t delay. Contact Drainage Consultants to arrange your drain survey. How Do You Know if You Have a Collapsed Drain? Sometimes drain problems are issues that linger, rather than being sudden, dramatic events. This doesn’t mean they’re any less severe, but that they can be harder to detect, until they’re much more serious because they’ve got that much worse. A collapsed drain can be severe, and the longer you leave it, the costlier it will be to fix. Detecting collapsed drains means using the right technology, which is why a CCTV drain survey can be essential. Before this, though, what are the signs that you might have a collapsed drain? Are your drains suddenly not performing as well? Whereas sluggish drains can mean you have a blockage, they can also be a symptom of a collapsed drain. In fact, a collapsed drain could be the cause of a blockage. If this is the case, then not only will you need to remove the blockage, but you will also need to ensure the drain is repaired too. If you spot any signs of slow drainage, then you should arrange for a drain survey. Not a pleasant one, this, but a collapsed drain may mean that your drains are frequently backing up. The extent will depend on the severity of the problem, but a drainage inspection is essential, because the longer you leave it, the worse it will get. Disrupting water flow leads to water flowing into the ground around the collapsed pipe. This might appear as damp on the walls or floor of your property. If you do have signs of damp, you must act. If you leave damp unattended, it can develop into a serious problem. Most importantly, you need to find the source of the damp, and if this is a collapsed drain, have it repaired. The unmistakeable smell of sewage is an early warning of a collapsed or damaged drain – the smell is from backed-up sewage or blockages. If you have a blockage cleared and you can still smell something, it’s probably a collapsed drain. Over time, the ground around a collapsed drain will subside or sink. For this to be visually obvious usually means you’ve had damaged pipe for some time. Water leaking out into the ground surrounding the collapsed drain will eventually cause a visible indentation. The more serious the damage, the more severe and widespread the symptoms. You might see cracks appearing along the floor or up the walls of your property. This is only likely to happen if the defective drain has been left in a disrepair for a considerable length of time. If the drain runs under concrete driveway slabs, or under a concrete garage, you might see cracks appearing here. The key thing is to act. Contact Drainage Consultants today if you think you’ve got drainage problems. Our CCTV drain survey will help us get to the bottom of it for you.